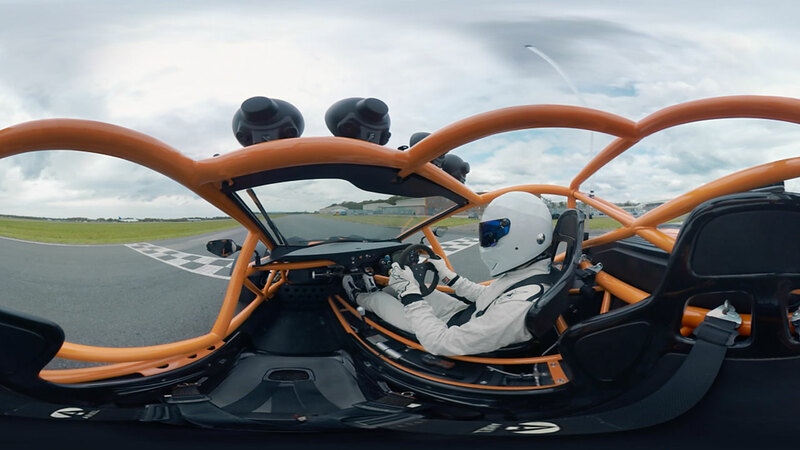 Mill+ worked with BBC Worldwide on Top Gear’s latest Stig Ariel Nomad 360 film. To coincide with the launch of the new series of Top Gear, BBC Worldwide has launched two experiences that put fans in the driving seat by way of an immersive 360 experience created by Mill+. Top Gear’s popular ‘Star in a Reasonably Priced Car’ segment has been replaced with the newly titled spot ‘Star in a Rallycross Car’, launching their first ever 360 project. The film centres around what celebrity guests will witness as part of the new track layout over the coming weeks; all experienced in 360 degree alongside Top Gear host Chris Harris. To support Matt le Blanc’s Ariel Nomad film from the first episode, Mill+ bolted a 360 rig to the roll cage of the Nomad whilst The Stig took the Nomad for a tyre-ripping lap of the traditional circuit, complete with all the Stig’s fancy footwork on display for the fans. Mill+ Executive Producer Oliver Allgrove explains; “BBC Worldwide approached Mill+ to explore shooting several premium pieces of 360 film with one of the new presenters, in this case, the awesome and talented Chris Harris. The idea was to create something that has a proper fidelity as a piece of content. Over the course of the next series, the challenge facing celebrities sees the track re-modelled into a more rounded challenge including some off road driving and jumps. Putting a 360 rig in a Nomad with The Stig just presented a fantastic opportunity to show off his talents in one of the world’s most exciting cars of the moment”. Shoot Supervisor and Creative Director Adam Grint comments; “I was like an excited schoolboy when I got asked to work on this project. The aim was to give the viewer a unique perspective on the new course and bring you as close as possible to the action as Chris Harris guides you through the challenges of the course. We devised a bespoke 360 camera rig for the task and placed it in the passenger seat so you feel as if you are right there riding alongside him. The trickiest part was using minimal rigging so as not to clutter the shot, whilst trying to keep the cameras as steady as possible - not all that easy bearing in mind the rally-cross course involves a water hazard and a rather large jump!